In the past week, there have been two notable fantasy football happenings at the wide receiver position that we should take note of. The Rams suffered a significant loss in the form of Cooper Kupp, who suffered a season-ending torn ACL in last week’s win over Seattle. Collecting a 40/566/6 stat line on 56 targets in eight games this season, Kupp will finish his injury-shortened 2018 campaign as the WR18 with 95.1 fantasy points — he obviously won’t remain the WR18 much longer. With Kupp out of the mix, his vacated seven targets per game and 83.6 percent snap share — Kupp also caught 8-of-12 of his red zone targets — will have to go somewhere. While I expect Josh Reynolds to pick up Kupp’s playing time, the second-year wideout is not a lock to receive his target-share. In the two games in which Kupp missed earlier in the season, Reynolds played in 88.1 percent of the snaps in Week 7 and in 94.3 percent of them in Week 8. However, Reynolds only drew a one and five targets in those games respectively, converting them for a combined 4/61/2 line. Note that Reynolds hauled in three receptions for 42 yards and both of his scores in Week 8 versus Green Bay. What is different now is the fact that Kupp is not going to return this time around, which means Jared Goff must learn to trust his inexperienced wideout. He has no choice. As a result of his new-found opportunity, Reynolds must be owned in all fantasy formats. While he’s likely to make a bigger splash in PPR leagues, the Rams’ offense is executing too well to leave a player expected to garner that much field exposure on the waiver wire, especially down the stretch. The Rams are one of those teams that may not have too much to play for by the time Week 15 rolls around. In that scenario, they are more likely to rest their starters and feature a player like Reynolds so he can gain more experience for the postseason. Now on to the saga that is Dez Bryant. I don’t want to go too much into this situation, so I will try t keep this short. We know Bryant is done with a torn Achilles sustained in his first practice with the Saints, which left a hole at a formerly thin wide receiver position. As a result of Bryant’s unfortunate injury, the Saints brought in my guy Brandon Marshall. I get he was an utter flop with the Seahawks, but the Saints didn’t bring him in to pick moss out of the grass. If you ask me, the Saints don’t trust Tre’Quan Smith. If they did, then why would they have signed Marshall, who was released from the Seahawks in favor of an emerging David Moore and Jaron Brown? I also think that the Saints wanted to add a big-bodied red zone threat, a familiar role to Marshall. At 6’5″ and 235 pounds, Marshall will join a team with only two skill position players over 6’3″ — backup tight ends Josh Hill and Dan Arnold are 6’5″ and 6’6″ respectively. Not even Benjamin Watson (6’3″) is that tall. And forget about Michael Thomas (6’3″) and Tre’Quan Smith (6’2″). I’d be surprised if Marshall wasn’t featured right away in the red zone if nothing else. He has 83 TD grabs in his decorated 12-year career. While Marshall doesn’t have very much fantasy value to the naked eye, he will bring scoring upside upon joining the Saints, a team in need of a reliable big-bodied red area option. Although Marshall is severely touchdown dependent as he is expected to be a low-volume asset, he is still worth a look in leagues with deep rosters as a back-end stash. 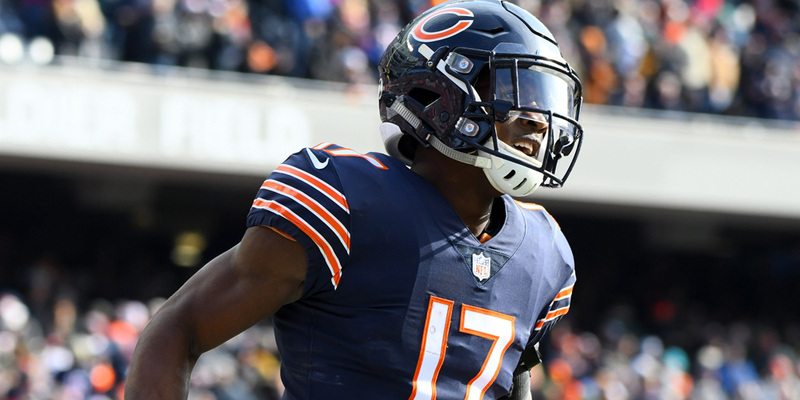 While the top 15 overall fantasy football scoring leaderboard was dominated by some of the most notable names in the NFL last week, there were quite a few sleepers in the mix as well. Russell Wilson (42.4) and Mitchell Trubisky (39.3) are both being started in fewer than 50 percent of ESPN Fantasy leagues this week and finished amongst the top 15 most productive players for Week 9. For the purpose of this article, any player with less than a 50 percent start-percentage at ESPN Fantasy will meet the criteria of eligibility to qualify as a sleeper despite their notoriety — see Russell Wilson. I finally feel like I am out of my slump. For two consecutive weeks, my sleepers have been pretty solid, especially in PPR scoring formats. And for a guy who usually breaks late, it is about that time. I went against my gut last week, something I rarely do. As a result, I started Andy Dalton over Blake Bortles. Dalton flopped while Bortles had an outstanding game. Shame on me for trusting Dalton without A.J. Green. Baker Mayfield had a career game in last week’s win over the then red-hot Falcons. Passing for a 216/3/0 stat line, the standout rookie finished Week 10 as the QB5 with 22.6 points. Duke Johnson was a hit for the second straight week. No shocker now that Hue Jackson and Todd Haley are gone. Mike Davis also had a pretty big game with Chris Carson out and despite the breakout performance of rookie Rashaad Penny. While it was Davis’ second solid outing against the Rams this season, the Seahawks backfield may become a volatile one moving forward. While Carson is the favorite to maintain the bulk of the touches, it will be hard for Pete Carroll to leave Davis and Penny out of the mix. Expect a hot-hand/ three-headed monster scenario down the stretch. Despite the return of Leonard Fournette, T.J. Yeldon remained heavily involved in Jaguars passing situations, as expected. He finished with 11.4 PPR points. Tyler Lockett continues to be terrific this season. He has now caught a TD in 7-of-9 games in 2018. Both Marquez Valdes-Scantling and Maurice Harris didn’t get the job done in standard scoring but saw enough of the action to put up at least 10.4 fantasy points apiece in PPR. Both of my tight ends were letdowns. While I can forgive Chris Herndon, Ben Watson has burned me way too many times this season with his outings scoring fewer than two fantasy points. Brandon Marshall’s addition may make him obsolete in the red area. The following is a recap of the players from my Week 10 Fantasy Football Sleepers article. You can read that here. Entering Week 11, some fantasy owners may be forced to shop the waiver wire due bye weeks and a handful of notable injuries from around the league. With players that include Cooper Kupp, Marvin Jones, and DeVante Parker all succumbing to injuries last week, some more significant than the others, be sure to check out Andrew Erickson’s Waiver Wire Pickups for Week 11 to help you fill the vacant holes on your fantasy rosters. You can read that here. I swore I’d never go back to the Dakota Rayne Prescott well again in 2018 after a letdown of a performance (243/2/1 line passing and 5/11/0 line rushing) against the Titans, However, while it was a regression in the midst of a four-game period in which he’s produced at least 20.2 fantasy points three times (Week 6 29.5, Week 7 20.2, Week 9 14.8, Week 10 21.7), it was also his first game with Amari Cooper. Although Cooper put up a 5/58/1 stat line on eight targets in his Cowboys debut and a 6/75/0 line on five targets last week, you can tell his rapport with Prescott is a work in progress. Prescott missed Cooper a few times in their seven missed-connections through the first game. But you can tell it is steadily progressing. With a dream matchup against the Falcons ahead in Week 11 staring back at him, Prescott and Cooper could finally put it all together. Not only are the Falcons yielding the fourth-most fantasy points to opposing QBs at a 23.6 FPPG rate, but they are also unequivocally bad against WRs giving up the third most points (29.0 FPPG) to the position. Moreover, the Falcons are surrendering the third most rushing yards (193) and TDs (2) to signal callers as well. That said, Prescott has rushed for the fifth-most rushing yards (253) amongst QBs while being tied for second in TDs (3). Do you see where I’m going here? The only person who could stop Dak Prescott from having a big game is Jason Garrett and Scott Linehan. 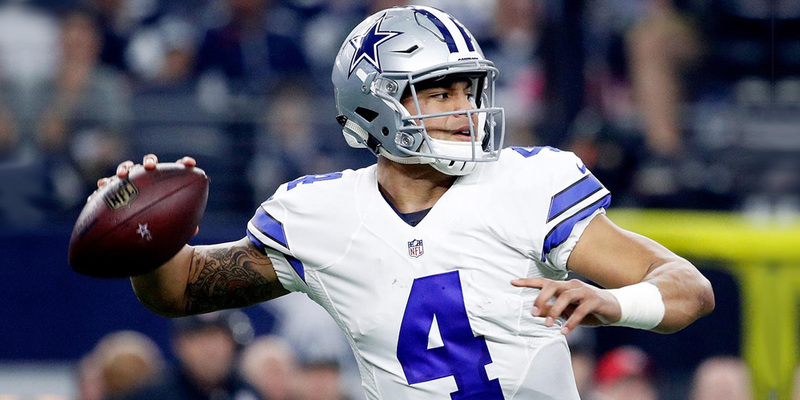 When the play-calling was aggressive in last week’s gritty win over the Eagles, seemingly gaining a ton of momentum and having their lost season, Prescott played pretty well despite a few errant throws. You could also credit Prescott’s success to Ezekiel Elliott’s 187 total yards, two TD game as well. When Elliott gets going, so does Prescott. Facing a Falcons defense that has given up 1,316 yards passing and nine TDs combined in the past four games — Jameis Winston (395), Eli Manning (399), Alex Smith (306) each passed for at least 306 yards against them in that timespan — Prescott is primed for a fringe QB1 outing in Week 11. It wouldn’t be crazy to start him over Kirk Cousins. While Eli Manning is playing well on the road this season scoring at least 17.2 fantasy points in 4-of-5 road games this season, the regressing QB has been treacherous at home. He’s scored fewer than 13.6 points in his four home games this season, finishing in the single digits twice. However, although the Giants are hosting the Buccaneers, the matchup against Tampa Bay is too hard to pass up, especially coming off of a quality three-game run. Manning has thrown for 903 yards, five TDs and tw0 picks combined in his past three games, scoring at least 19.5 fantasy points in 2-of-3 games in that time period. In his upcoming matchup with Tampa Bay, I believe Manning will string together his second straight quality fantasy outing for the first time this season. Manning has been as inconsistent as they come. However, with his talented supporting cast behind him, plus, an offensive line that is on the uptick since moving on from Ereck Flowers, Manning may not only be pretty good Sunday, but he could also buy himself another season in New York if the Giants win a few more games. I know that sounds crazy and it is not a popular thing to say, but it’s not out of the realm of possibility. Sorry Giants fans. Facing a Buccaneers defense allowing the second-most fantasy points to QBs at a 24.1 FPPG rate that can’t contain anyone — Tampa Bay has surrendered at least 21.5 fantasy points to eight different QBs, only holding Nick Foles to fewer than 20 fantasy points (14.5) — Manning is a quality bye-week replacement in single QB leagues and is a must-start in leagues in which you start two-QBs for Week 11. I’d start him over the Alex Smith’s (facing Houston) of the world. 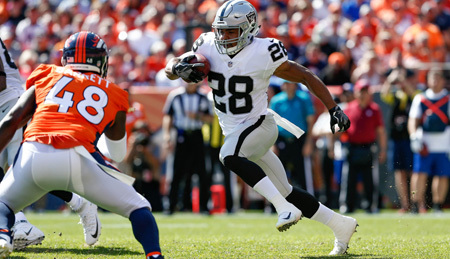 Doug Martin has played pretty well in his last three games since taking over as the Raiders starter following Marshawn Lynch’s (core-muscle) injury. He’s rushed 39 times for 182 yards while catching 6-of-7 targets for 68 yards. Although his numbers aren’t mindblowing, keep in mind these things. Not only has Martin averaged at least 4.1 YPC (5.5 v. IND, 4.1 v. SF, 4.5 v. LAC) since Week 8, but he is coming off of a Week 10 outing in which he had his most touches (18) and total yards (89). In his upcoming matchup against a Cardinals defense conceding the third-most fantasy points to rivaling RBs (25.7 FPPG), Martin could total over 100 yards and score for the first time this season if his touches remain trending upwards. And while the Arizona front seven have played better in their past two games — they’ve given up fewer than 10 fantasy points in back-to-back games — (Matt Breida (4.2), Kareem Hunt (9.8) — they’ve been torched in every game leading up to them. From Weeks 1-to-7, the Cardinals surrendered at least 12.1 fantasy points to the enemy RBs in the first seven games of the year while yielding at least 21.8 fantasy points four times in that time span. While Martin could be used as a quality Flex option with back-end RB2 upside in standard scoring formats, don’t ignore Jalen Richard in PPR leagues. Not only is Richard scoring at least, but the Cardinals defense is also yielding at least 7.3 fantasy points to the opposing RB2 in three of their past five games. moreover, Richard is also the No. 6 ranked RB in targets (55) and No. 5 in receptions (48), but he’s also hauled in at least five receptions and 45 yards in four of his past five games. If you need a quality PPR play who may be lingering on the waiver wire, Richard is your guy. Richard is only owned in 51.7 percent of leagues at ESPN. 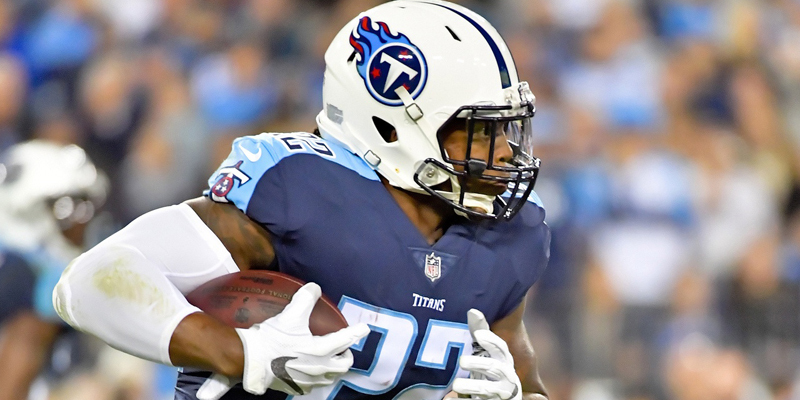 If you follow my work, you’d already know that I’m not the biggest fan of Titans skill position players, especially Corey Davis, Derrick Henry and Marcus Mariota. However, I’m not biased and I don’t wear blinders. The Titans have played well recently and so has the aforementioned perennial fantasy letdowns. But I want to talk about Henry right now. And here’s a little nugget, I picked him up and I’m starting him in one of my better leagues this week in a crucial matchup. I like what I see. I say this fully aware of Dion Lewis’ recent uptick in production as well. The Titans are a running team and have plenty of carries to go around. Tennessee is the No. 5 ranked in the league in team running plays per game (29.3 PPG). Following a rough start to the season in which Henry accumulated fewer than 5.1 fantasy points in his first six games (3.1, 5.6, 5.1, 3.1, 5.6, 2.6), the 24-year-old back has bounced back in recent weeks. Henry has totaled at least 9.2 fantasy points (12.5, 9.2, 17.8) in each of his past three games while rushing a combined 41 times for 118 yards and four TDs — he added four receptions for another 37 yards — in that time span. And with a middle of the road matchup coming up facing a Colts defense allowing the 14th most fantasy points to RBs at a 19.3 FPPG rate, look for Henry, and the Titans’ offense, to remain productive in a game with a 49-point consensus over/ under on the road at Lucas Oil Stadium. While the Indianapolis defense has played well at times this season, they’ve allowed the opposing RB1 to collect at least 8.9 fantasy points in four of their past five games with three rushers going for over 1.6 points in that time span (Sony Michel (17.0), Isaiah Crowell (5.2), Chris Ivory (10.6), Doug Martin (8.9), Leonard Fournette (22.9). Moreover, the Colts have yielded at double-digit fantasy points to opposing PPR backs in 4-of-5 games in that same time period as well (James White (23.7), Bilal Powell (5.9), Marcus Murphy (12.0), Jalen Richard (10.6), T.J. Yeldon (11.2). There is certainly enough production for both Henry and Lewis to have big games. Henry is an upside FLex option in standard scoring formats with legit back-end RB2 upside for Week 11. With a depleted running back pool, Henry is an outstanding play this week. 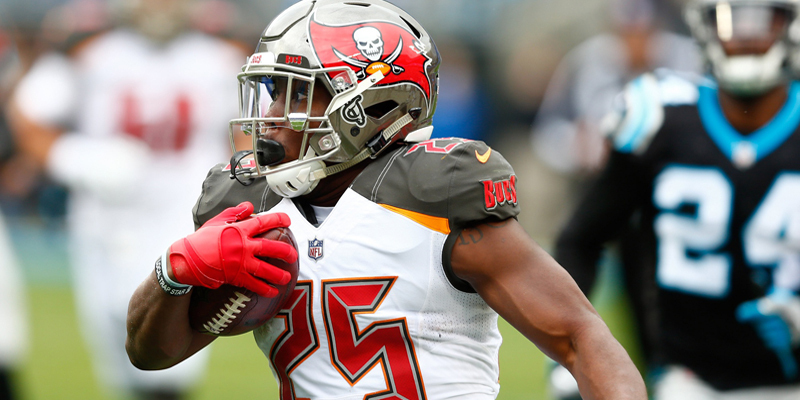 While Peyton Barber is the 11th ranked running back in opportunity-share — he is seeing 63.6 percent of his teams RB carries and targets combined — he hasn’t returned quality fantasy value. Currently ranked a the RB40 with 60.2 fantasy points on a 117/437/1 stat line as a rusher while adding a 9/51/1 line as a receiver, Barbe has been a disappointment in 2018. However, in two of his past five games since Week 6, Barber has popped off for at least 14.5 fantasy points (16.6 v. ATL, 14.5 v. CIN). And while two of the aforementioned five games were letdowns, he had one decent one in the mix last week in a Week 10 loss to Washington. In a tough matchup with a Redskins front seven, Barber rushed 13 times for 61 yards and added another five yards on his lone reception as a receiver. He managed 4.7 YPC and 6.6 fantasy points against a usually stout defense. Barber’s limited success last week bodes well for his fantasy outlook in his upcoming matchup against the Giants, whose defense is surrendering the 10th most fantasy points to RBs at a 21.4 FPPG rate. If he could average 4.7 yards per carrying against Washington, he should be able to blow up against the Giants. And I get that New York is at home, but they’ve been gashed for at least 12.9 fantasy points in 8-of-9 games this season, including back-to-back games of giving up at least 25.2 points to Adrian Peterson (25.6) and Matt Breida (25.2). It is significant to note that those were the first two games since the Damon Harrison trade. The Giants are in trouble. Diving in even deeper, the Giants are surrendering 34.7 percent more fantasy points in the past three games (20.9) than the revolving league-average (20.9). If Barber can’t get going versus the Giants, then I don’t know what to say. Yielding a 300 yards rushing and three TDs on 54 carries with an additional 70 yards and a TD on six receptions to their past three enemy RB1s combined, the Giants are a fantastic opponent for Barber to exploit. And I expect him to do so. Barber is an upside Flex option for Week 11 who is in line for his most productive game of the season. After totaling fewer than 9.9 fantasy points in his first five games of the season, Anthony Miller has been terrific in his past three. Corralling 13-of-19 targets for 208 yards and two TDs in his past three games combined, Miller is the WR11 with 47.4 fantasy points since Week 8. He’s been hot, coming off of a career game in last week’s win over the Lions in which he caught a /122/1 stat line on six targets. His 122 receiving yards were a career-high. Miller will take his three-game streak of scoring at least 10.8 fantasy points and drawing at least six targets into a tough matchup against the Vikings. Although the Vikings are allowing the fifth-least fantasy points to WRs at an 18.6 FPPG pace, they’ve given up at least 12.6 PPR points to an opposing wideout in three of the four past games. And with Xavier Rhodes expected to be locked on Allen Robinson this week, Miller clearly has the better CB/WR matchup lining up opposite Mackensie Alexander, who is ranked as the 136th corner at PlayerProfiler. And although the Vikings haven’t allowed an opposing WR to score since Week 4 against the Rams, they have allowed at least four receptions for 45 yards (8.5 PPR points) to their opponent’s leading wideout in 3-of-4 games since. The Bears’ leader in targets in the past three games (20), Miller should be busy on Sunday out of the slot. Miller is an opportunity-dependent Flex option for Week 11. The Vikings will likely try to take out Robinson and Taylor Gabriel on the outside and let the rookie beat them over the middle. I’m confident he can make it happen. There is a ton of uncertainty surrounding the Ravens’ QB scenario entering Week 10. Not only has Joe Flacco remained sidelined at practice this week with a hip injury, but John Harbaugh suggested to the press that he doesn’t need to practice to start. Plus, if Flacco can’t go, we will see either an erratic Robert Griffin III or the unproven rookie Lamar Jackson. However, no matter who is under center for Baltimore, I think their wideouts will be productive in a savory matchup against the Bengals. Not only are the Bengals allowing the fourth-most fantasy points to WRs at a 26.3 FPPG rate, but they have also given up at least four receptions for 74 yards or a TD to seven different wideouts in their past four games. 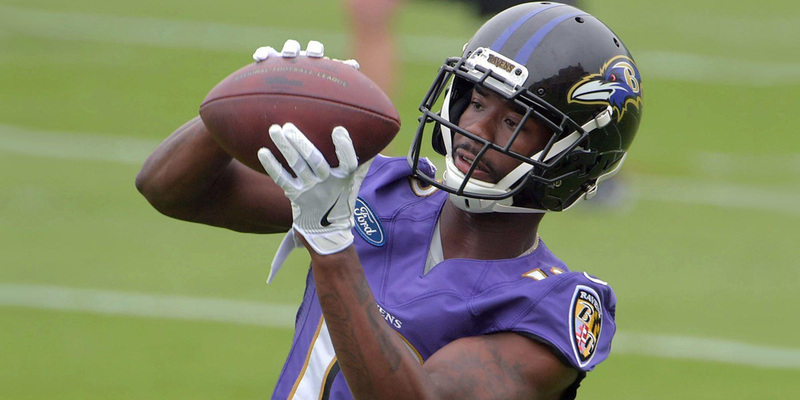 There is more than enough product to be had for Ravens wideouts, primarily John Brown and Willie Snead. With Michael Crabtree declining this season — he hasn’t topped a 5/66/0 stat line in the past three games — Snead has been the main beneficiary. In fact, in Snead has totaled at least 10.4 PPR fantasy points in 7-of-9 games in 2018. Although he only scored one time this season, Snead has accumulated at least five receptions for 54 yards seven times. It’s not great, but it is a pretty solid floor for a dart throw. Brown, on the other hand, has been phenomenal at times as the Ravens’ big-play threat wideout, scoring at least 13.5 PPR points in 5-of-9 games. He also mixed in a 19.2-point outing in his last matchup with the Bengals in Week 2 on a 4/92/1 stat line on 10 targets, along with a 20.6 point game against the Steelers in Week 4 and a 26.4-point game against the Saints in Week 7. In the above-mentioned three games in which he accumulated at least 19.2 fantasy points, he drew a combined 31 targets. If Brown gets the targets, he will come through in a big way. Although Browns CB matchup could be better — he will likely draw the No. 23 ranked corner Dre Kirkpatrick — he did go off against him the last time they played. I wouldn’t be too worried about the Bengals’ defensive backs, they can’t contain anyone, especially Darqueze Dennard, who is ranked No. 97. While I am worried about Crabtree, I believe both Brown and Snead will return double-digit fantasy points in Week 11. While Brown is entering Week 11 coming off back-to-back games with fewer than three catches for 28 yards, I’m not thinking twice. Brown will get back on track in a get-right matchup with Cincinnati. Vance McDonald has had an unpredictable fantasy season so far, but he’s coming off of a Week 10 outing in which he cashed in a 4/44/1 stat line on four targets and finished as the TE5 with 10.4 points. And while Jesse James also scored on an eight-yard touchdown reception last week, it was on his only target. Here’s an interesting tidbit — James appeared in 59.6 percent of the Steelers’ offensive snaps and only ran eight routes, whereas Mcdonald ran 11 routes while holding a 47.4 percent snap-share. Despite James’ score, McDonald is the tight end-to-own in Pittsburgh. I’m not worried about the snaps. James is a superior blocker in an offense that emphasizes the rush. It makes sense. In his upcoming matchup against the Jaguars, McDonald could be in line for a big game. Although the Jaguars opened the season stout against the TE, they’ve been exposed during their five-game losing streak. While Jacksonville is yielding the sixth-most fantasy points to rival TEs at a 9.9 FPPG pace in 2018, they have surrendered 82.8 percent more fantasy points (27.7-points) to the TE than the (8.0-point) league average in the past five games. In that five-game timespan, Travis Kelce (10.0), Dallas Goedert (9.2), Zach Ertz (8.6), Moe Alie-Cox (8.8) and Eric Ebron (25.1) all managed at least 7.3 fantasy points against them. They’ve given up five receptions for 100 yards receiving or a score in three of the aforementioned five contests. The No. 6 TE in yards per target (10.3) and No. 4 TE in YAC (246), McDonald is a sure-fire TE1 for Week 11. Don’t be shocked if both Steelers’ TEs scored again this week. The Jags have given up at least 8.6 fantasy points to the opposing TE1 and TE1 in back-to-back games. James makes for a sneaky GPP-buster in DFS. Though, keep in mind that he is a dart-throw at best. Ricky Seals-Jones has been on the upswing of late following a less-than-stellar start in a year which was supposed to be his breakout campaign. However, since the Cardinals are the latest team to be setback by inept offensive coordinator Mike McCoy, Seals-Jones took a while to get going. In fact, he didn’t see north of six targets until Week 10 (nine targets), which happens to be Arizona’s second game after McCoy was relieved of his duties. And if you ask me, firing him on October 19 was too late. McCoy shouldn’t have even been considered for the job after being fired twice in his last two NFL coaching gigs previous to his short run in Arizona. McCoy should be in the XFL at best. Like I said above, Seals-Jones drew nine targets last week, converting five of them for 51 yards. 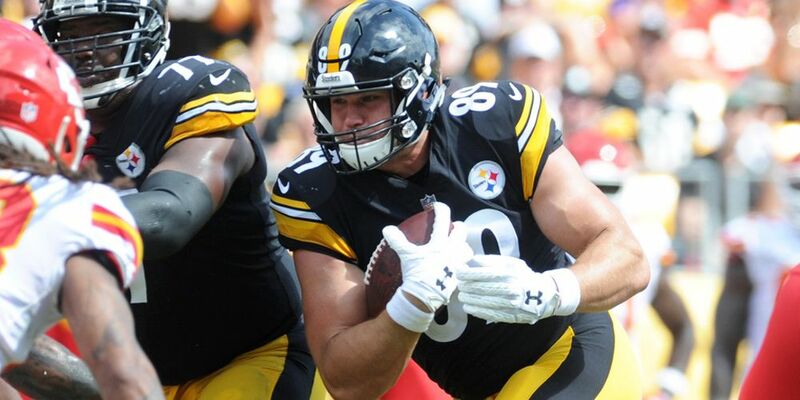 Prior to Week 10, the second-year tight end garnered target shares of 6, 6, 3, 4, 6, 6, 4, 4 through the first eight games of the season leading up to his nine-target Week 10 surge. While Seals-Jones exploited the Chiefs last week, they were his easiest opponent to-date in terms of tight end matchup. That is, until now. Seals-Jones gets the Raiders this week, who are not only presenting a better matchup than Kansas City, but they are also only the second team he’ll face in the top 10 in fantasy points allowed to enemy TEs this season. Oakland is giving up the third-most fantasy points to TEs at a 10.2 FPPG pace. Although they were able to contain the deplorable tandem of Chargers TEs (Antonio Gates and Virgil Green) in Week 10 — the Chargers desperately need Hunter Henry to return for a postseason run STAT — the Raiders have surrendered at least 8.6 fantasy points to four different TEs in their two preceding games against the Colts and 49ers. Moreover, they also gave up four TDs to four different TEs in that same timespan — Moe Alie-Cox, Eric Ebron, Jack Doyle and George Kittle all scored and combined for 14 receptions and 241 yards on 15 targets in Weeks 8 and 9. If Josh Rosen continues to target Seals-Jones at last week’s rate, don’t be surprised if he returns fringe TE1 upside or better for Week 11. A fantastic streaming option in a plus matchup, you can do a lot worse than Seals-Jones with six teams on a bye. Daily Roto – I’m using Daily Roto for Redzone data, snap counts, targets, and play calling distribution. 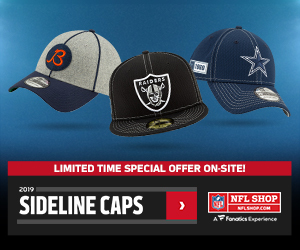 Really cool site, if you’re thinking about trying them out for a month, use promo code “gridironexperts” and save on your first month. The Quant Edge – TQE has a WR/CB matchup tool and some awesome data that you can’t get anywhere. Try them out for a month and use promo code “Grid10” to save $10 on your first month. 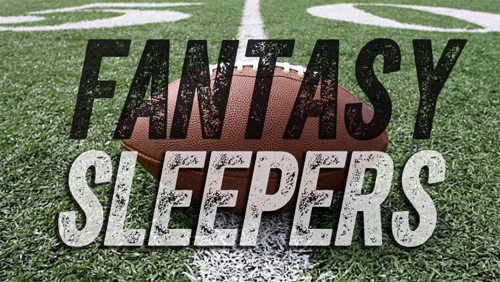 Thank you for reading my Week 11 Fantasy Football Sleepers for 2018. If you’ve enjoyed it, I will be writing this feature on a weekly basis for the duration of the 2018 season right here at Gridiron Experts! Want more of my content? Follow me on Twitter @therealnflguru and check out my @GridironExperts archive here. And before I forget, Mike Hauff and I debate fantasy football as well as other NFL news notes and nuggets on our show @Faceoff. You can follow us on Twitter, hear us on the Gridiron Experts Podcast Network, or watch us on Youtube. We are also available at most of the top podcast providers, including iTunes here.